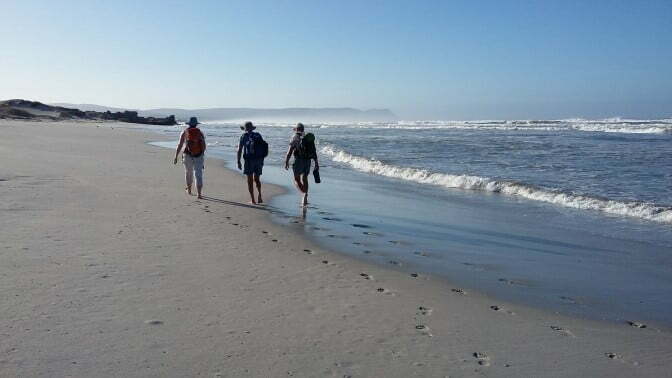 The beach walk to Sopiesklip is what most people imagine walking on the beach is all about. 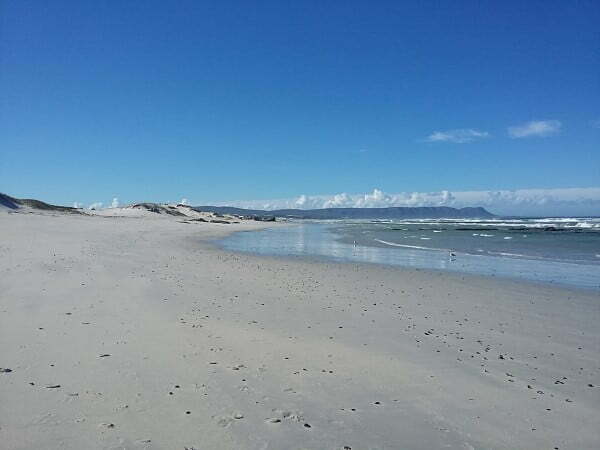 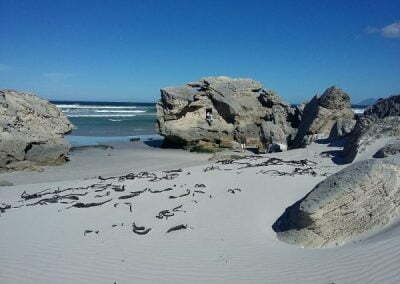 The walk starts at Grotto Beach, Hermanus’ Blue Flag Beach, the distance from Grotto Beach to Sopiesklip is 6 kilometers, along white, pristine unspoiled sandy beach consisting of fine “Sandcastle” sand. 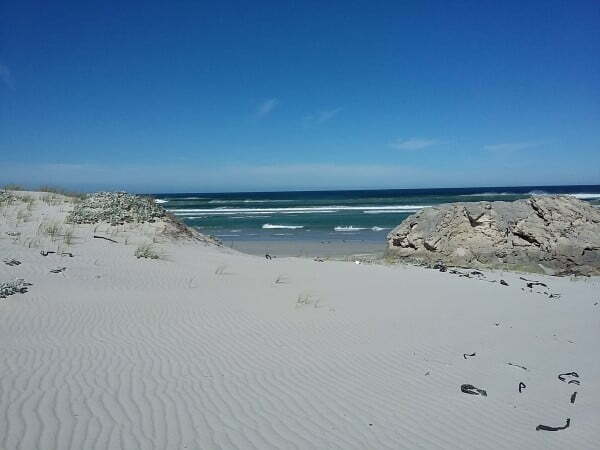 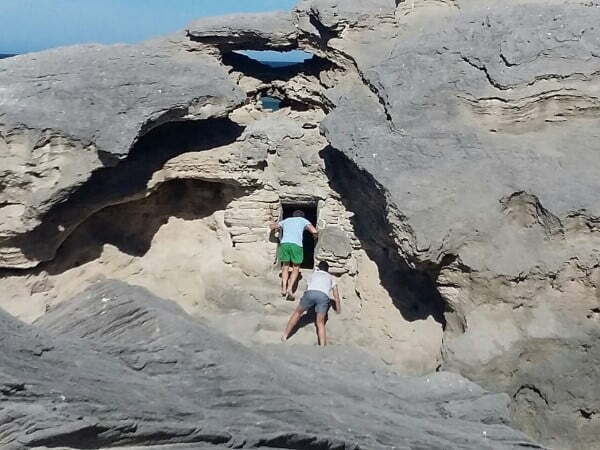 The perfect environment to kick your shoes off and enjoy the unspoiled conditions, flanked on the Northern landward side by rolling sand dunes and on the other side by the Indian Ocean’s Agulhas current. 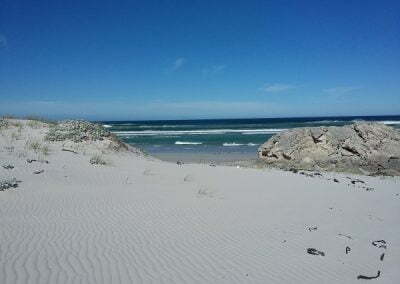 Depending on conditions the water temperature can get as high as 18 degrees Celsius. 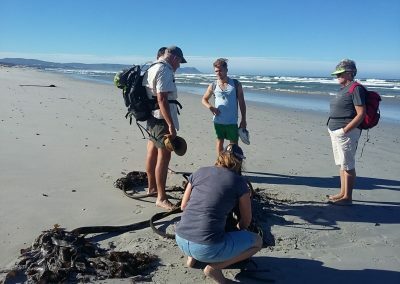 The Sopiesklip walk offers a multitude of marine creatures washed up to keep one interested and occupied, Cuttlefish, white mussels, Jellyfish and bluebottles as well as a multitude of shells. 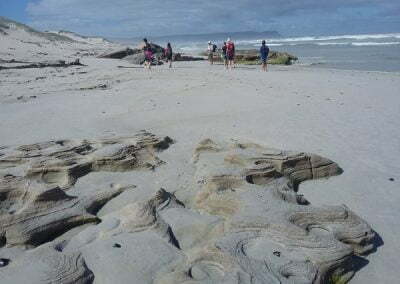 It has also been told that, “in the old days”, when the boats were still manned by rowing teams and sails, the strong winds and current would push the fishing boats into the middle of Walker bay and they would wash up at Sopiesklip. Through the years the fishermen carved this hollow in the rock and stored glass bottles of brandy with ropes attached in the cave. 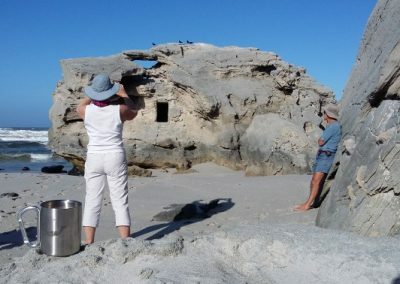 A place to shelter from the cold wind, waves and have a nip of brandy to keep warm. 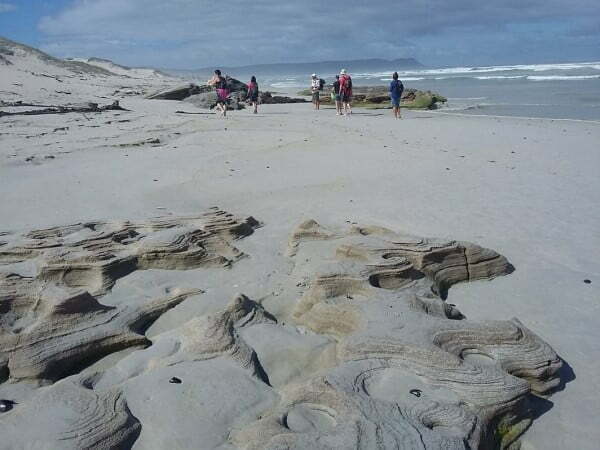 Africansunroad Tourism offer guided beach walks to and from De Kelders/Grotto beach or from Grotto to Sopiesklip. The walk is guided by Ralph and Gill covering the marine and historical aspects of this part of the Overberg area. 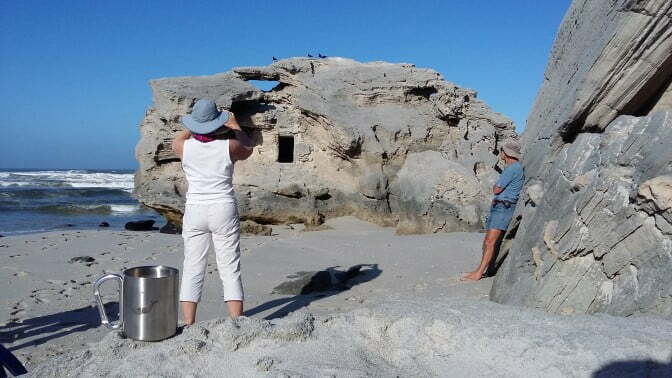 Ralph and Gill are qualified FGASA Field, Marine and SA Tourism guides. 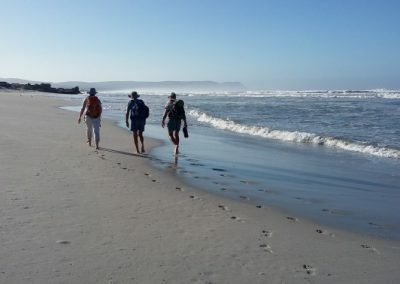 We also provide Tea and coffee and a light lunch to make the walk more enjoyable. 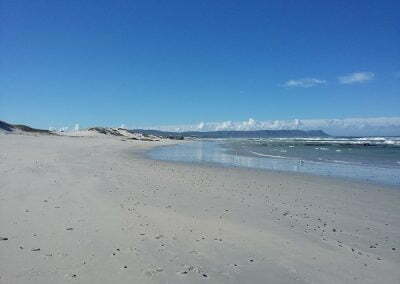 To join us for a Sopiesklip or De Kelders beach walk please click the “Get a Quote” button below.